Microsoft has just announced that nine different phones available in November in the USA, from LG, Samsung, HTC, Dell. 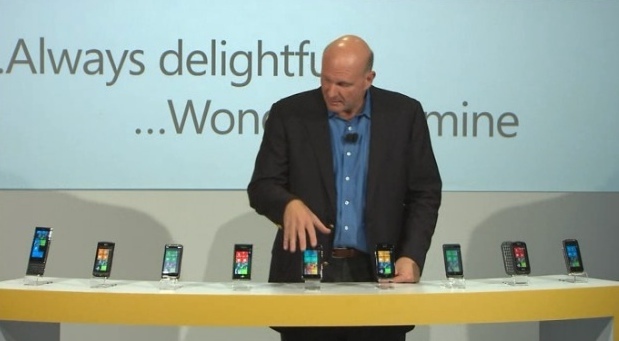 Ballmer mentioned that the LG can stream to your TV, the Dell is robust, and the Samsung has an AMOLED screen. 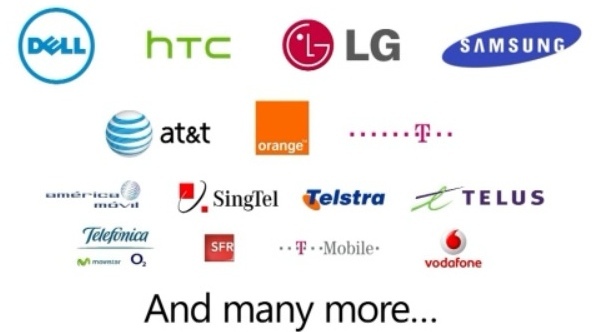 Already Windows has signed up 60+ carriers in more than 30 countries.